Skywalker Smart is first racing aircraft from Skywalker that has twin motor with strong energy. In order to satisfy hobbists's need, we launch KIT version on sales. It is well-built racer that has flexible wings, reasonable installation of inner space. It flies flexible and faster. Here is a great wood quadcopter project made with Pixhawk. The top speed is over 60mph and flies for 15 - 25 minutes depending on 4s or 6s batteries. It is able to lift 15lbs with reliability and tolerates crashes very well. Enjoy the test footage. Thought i should share this Autopilot from MAP-Technologies. This thing basically connects to anything & everything on a boat, from engine controls, lights, cameras..etc, and provides autonomous way point planning and remote capabilities via 4G, Satcom or RF. Map-Pro is a universal Unmanning kit for any boat. Somewhere in the corner on the third shelf is the box with my old RC stuff, and in that box was sitting my very, very old Hitec Laser 4 transmitter – 72 MHz, 4 channels, definitely not usable anymore. So, I decided to engage in a project to convert this outdated piece of equipment into a 10-channel DSM2/DSMX transmitter. Using LTE when flying 700km/h. One of the common questions regarding the use of 4G/LTE on drones is if the connection still works at high speeds. Especially in regard to fast flying fixed wings UAVs. In particular the Doppler Effect is often stated as the main concern. 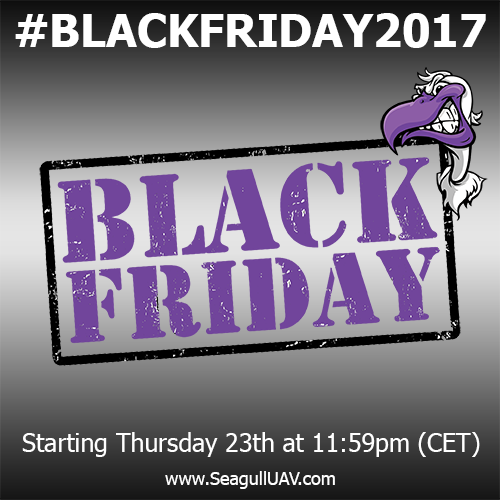 Gens ace & Tattu Black Friday Event Detail, Free drone ? Battery deal ? This year’s black Friday, you can find many amazing deals on genstattu.com. Many are the best deals of the year. Firstly we are sending out a Xiao mi 4K drone as the prize of the lucky draw, which is worth $589, this is the biggest giveaway on genstattu.com of the year. Whoever come share our event page on their social media account can enter, no purchases required, it’s completely free. For a presentation I'm doing I tried to explain how the modern drone industry grew out of the intersection of two communities, RC and robotics, and although they didn't merge, they did both evolve.